In what looks like a story from a movie script, Constantin Reliu may be in shock for a long time to come over his current status. The 63-year-old was legally declared dead by the court despite an overwhelming evidence contradicting that fact. According to The Guardian, Constatin had traveled to Turkey in the year 1992 in search of work. He last returned to the country in 1999 and ever since then, made no contact with his family. Not hearing from him for years, Reliu’s wife obtained a backdated death certificate for him in 2003. 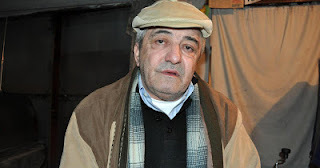 Constantin Reliu revealed that he was unaware of the death certificate until Turkish authorities arrested and deported him back to Romania due to expired papers.